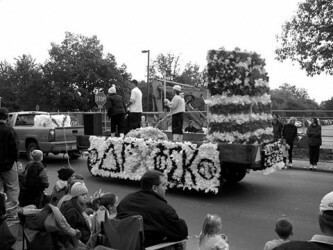 Homecoming Draws Near- Join Your Phi Sig Brothers! There’s more to Homecoming than the parade. There are many events you have to look forward to leading up to Homecoming Weekend. Right now, Homecoming is looking for alumni representatives from any campus for the Alumni Court, who will attend a court reception and have a feature in the parade, where they will be recognized for their accolades and accomplishments. Similar to 2017, this year’s Homecoming Week will kick off with another concert in collaboration with SPA on Sunday, October 7. The concert is free and open to all students with a valid Penn State id+ card. The performer will be announced closer to the date. Everyone’s favorite events will return to University Park this fall, but we are excited to reveal that Allen Street Jam will take the place of Pollock Party. Allen Street Jam is a block party celebration with various food trucks, live performances and games outside along Allen Street. The event will take place on Allen Street between College Ave. and Beaver Ave. on October 8 from 2 p.m.–8 p.m. and includes a dance competition among Penn State dance groups. The Ice Cream Social will be held all day on Friday, October 12, preceding the parade. Members of the community will gather at the Hintz Family Alumni Center for games, prizes and, of course, free Penn State Berkey Creamery ice cream and a toppings bar. This is a chance for the community to interact with alumni leading up to parade. If you think your tailgate during Homecoming weekend is going to be the best of the best, the Tailgate Competition is open and ready to register. On Saturday, October 13, during the hours leading up to the game against Michigan State, members of Penn State Homecoming will assess each participant’s tailgate for the different categories: Best Food, Most Creative, Most Spirited, Best Student Organization, Nittany Newcomer and Best Overall. The winner is revealed prior to the game and will receive prizes, banners and bragging rights. During halftime at the game, the Homecoming Executive Committee will be introduced, the courts will be presented, and the two students who best embody Penn State’s core values and this year’s Homecoming theme will receive the first ever Guide State Forward Award. You can nominate and register for all events mentioned on the Penn State Homecoming website. We hope that you are as excited for these upcoming events as We Are. Enjoy the rest of your summer, mark your calendars and start packing to come home to Happy Valley. 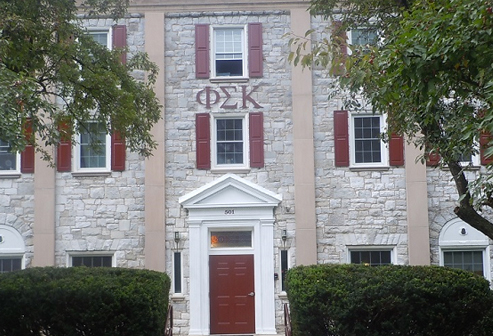 For updates, check out our new blog on our newly designed website, homecoming.psu.edu. You can also follow along with us on social media, Penn State Homecoming on Facebook and @psuhomecoming on Instagram and Twitter!